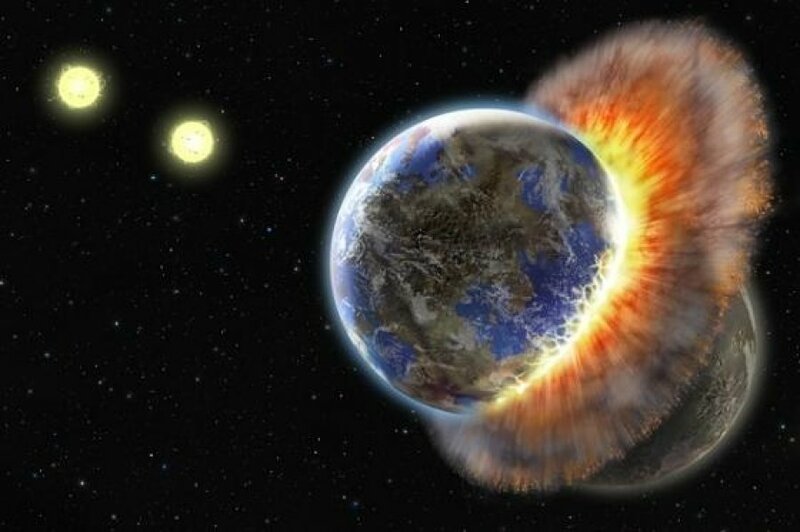 A ‘violent, head-on collision’ between Earth and a developing planet called Theia formed the planet that we live on today and also created the moon, according to new research. A ‘planetary embryo’ called Theia, thought to be around the same size as Earth or Mars, collided with Earth 4.5 billion years ago with the two being effectively melded together to form a single planet, says the study. The head-on smash took place approximately 100 million years after the Earth was formed. While it was already known that the two planets collided, it was previously thought that Theia merely grazed Earth, causing the former to break up, with a piece of the fledgling planet forming the moon. If that were the case, the moon would have a different chemical composition to Earth because it would be made up predominantly of Theia. Researchers at the University of California studied moon rocks brought back to Earth by the Apollo 12, 15 and 17 missions, along with volcanic rocks from the Earth’s mantle, found in Hawaii and Arizona. They found that the rocks from the moon and Earth had almost identical oxygen isotopes, turning the previous theory on its head. While Theia ended up incorporated into Earth, Young says that it would probably have become a planet in its own right if the collision hadn’t taken place.